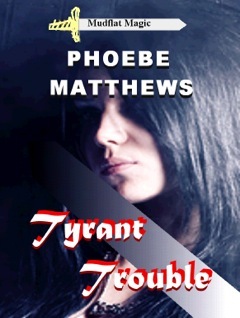 Tyrant Trouble is the first novel of the Mudflat Magic series. The seventh novel will be published October, 2014. This novel won the EPPIE for Best Fantasy of 2009. When a conman wants you as the patsy for a crime, you run, right? That’s what Claire decides. She makes it out of Seattle and into an Otherworld situation that is filled with so much terror it makes the conman and his threats look easy.